I was pregnant at 41 years old. I was glad, going to the doctor, buying baby bottles, and getting prepared for a baby. On the Thursday before January 27, 2013, I took my son to the doctor and we both saw the baby on the ultrasound. We were happy! On January 27, 2013, I felt pain in my stomach that afternoon. I lay down and had pain. I called 911 and lost my baby (won’t describe, very graphic) and I had to go to the hospital. I was scared. I still miss the baby who I would have called Ariana or Kendrick. I did not yet know if this was a boy or a girl. I always think of my baby on January 27. I also think a lot about my baby on July 13. The baby was expected to be born on July 13. 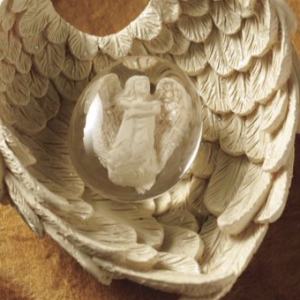 I have bought from a catalogue an angel that is inside a glass ball. The angel is very small and it rests inside of a large angel’s wing. It is my memorial for my baby.